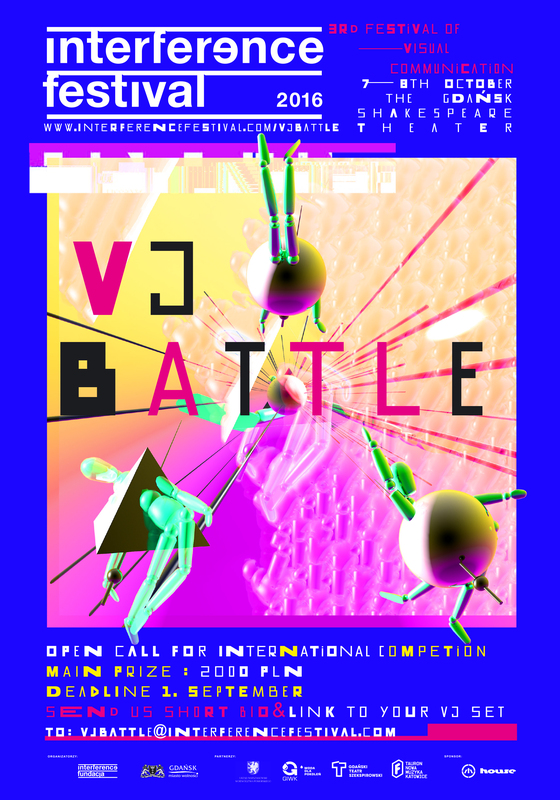 We hereby announce an OPEN CALL for International Competition VJ BATTLE organized within the Interference Festival 2016! We invite visual artists who want to face the exceptional event within the walls of the Gdańsk Shakespeare Theatre. From the submitted applications, the jury will select eight, which will face during a concert at the main part of Interference Festival 2016. VJ Battle Final will consist of quarter-finals, semi-finals and finals. - A link to the VJ Set, located on Youtube or Vimeo (video length: 4-10 min). For participants who reach the finals , we do offer accommodation at the day of event.